HammerHead Trenchless, of Lake Mills, Wisc., and Per Aarsleff Pipe Technology, of Aarhus, Denmark, signed a long-term, strategic partnership agreement that grants HammerHead exclusive rights to produce and distribute Aarsleff’s Bluelight LED Curing System for cured-in-place pipe (CIPP) to markets outside of Europe and Russia. The two groups are joining forces with a shared vision of bringing innovative pipe renovation technologies to market by leveraging the resources and expertise of each organization. 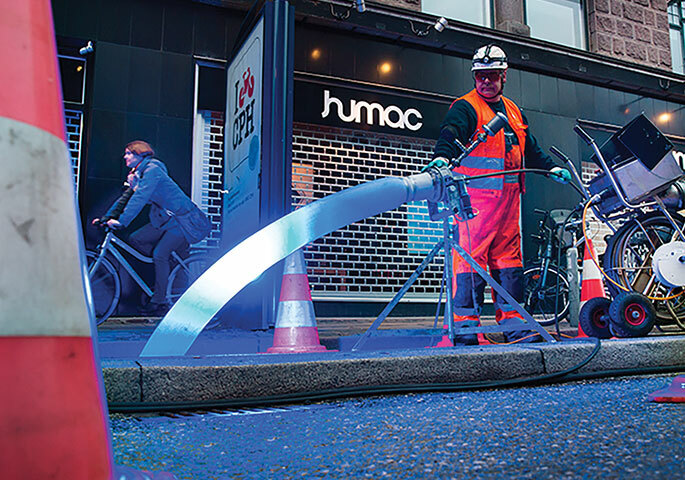 HammerHead Trenchless is a leading manufacturer and supplier of rehabilitation, replacement and installation equipment and consumables for the underground construction market. It offers a broad range of trenchless solutions, including quality equipment and materials, technical field support, and comprehensive training services to customers around the world. Per Arsleff A/S is a top infrastructure contractor in Europe. Its trenchless division, established in 1978, produces and employs its own CIPP liners, resin and installation equipment, including the Bluelight LED Curing System for 4- to 10-inch laterals. With more than 50,000 installations completed in Europe, the Bluelight system has a proven track record of quality and reliability. Currently being adapted and certified for the North American market, the Bluelight product line is expected to be available in 2019. Per Aarsleff Pipe Technology will continue to sell the product in Europe and Russia under the Bluelight brand name.